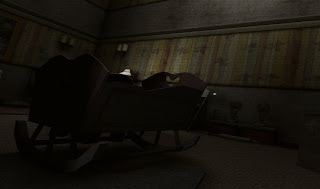 Baby Blues is horror game made developed by moddb user 'Kumi'. In Baby Blues, you play as 5 year old Tommy, and his favorite toys are teddies. One night Tommy wakes up to find all of his teddies are gone and goes around his parents home to find them all. The objective of the game is to find all of Tommy's teddies which you find scattered around the house. You must also find keys to unlock new rooms to continue your search, but as you progress through the house you encounter some scary things. 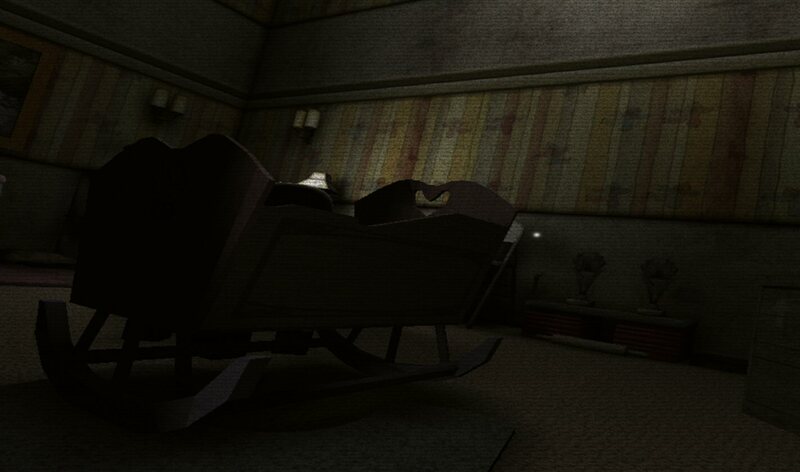 The way the game has been made actually feels like its straight out of a child’s worst nightmare, strange dark figures going past the windows and moving around rooms, strange unknown sounds and many strange things. You'll definitely get some really good scares from this game; it's not like most horror games which feel samey all the time, it's a good idea and it been well executed. Some of you might think it's similar to the game Slender with the collecting of pictures/notes, but its definitely a different experience from 'Slender' and should be played.